View cart “Bootleggers Tawny Port” has been added to your cart. 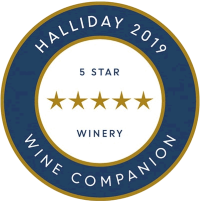 Shiraz Mourvedre Grenache – Deep vibrant colour and mid-palate weight with beautiful confectionery notes and firm spicy tannin finish all wrapped up by sweet French oak. From the brilliant 2018 vintage. 50% Shiraz brings colour and mid-palate weight. 25% Grenache brings its beautiful confectionery notes and fleshy fruit while the Moudevre joins in with its firm spicy tannin finish all wrapped in sweet French Oak..
A luscious raising drenched, smooth and velvety Tawny. Aged in French Oak for 10 years. If you order 12 bottles of wine (mixed or same) you will automatically receive 10% discount on your purchase.